ECO-ENA: Economics & ECO-Engineering Associate, Inc.'s Consulting was founded in 2010 aiming to provide consultations, business plans, training, market studies & marketing analysis, and feasibility studies to private sectors, public sectors and international humanitarian and development agencies. ECO-ENA: Economics & ECO-Engineering Associate, Inc. is a registered partner at CIDA Canada; the Department of Foreign Affairs, Trade and Development. It's also a registered services provider at different United Nations' agencies such that UN Women, WIPO (World Intellectual Property Organization), ILO (International Labour Organization), UNICEF, IFAD (International Fund for Agricultural Development), and ITC (International Trade Centre). 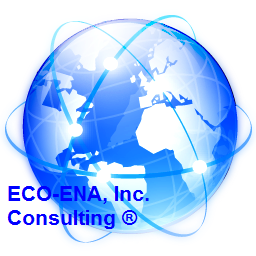 ECO-ENA: Economics & ECO-Engineering Associate, Inc.'s consultants are experts from all over the world. • Real Estate Management, • General Management, • Human Resources, • Immigration & Human Resources Management • Feasibility Studies, • Marketing, • Healthcare & Hospitals Management, • Markets Demand Analysis, • Economic Engineering, • Corporate Competitive Strategy, • Stock Markets, • Financial Analysis, • Tourism & Hospitality, • Organizational Behavior, • High-Education Planning, • Business Problem Solving, • Taxation, • Business Plans, • Organizational Change Management, • Crises management, • Educational & Executive Training, • Social, Political, and Cultural Economic Research & Policy Analysis, • Agricultural Economics & Agribusiness, • International Affairs, • Human Rights Communications, • Industrial Relations, • Entrepreneurship, • International Business, • E-Marketing, • Social & Political Marketing, • Islamic Economics & Islamic Finance, • Fraud & Financial Crimes, • Economic Empowerment, • Liquidity & Risk Management, • Poverty Reduction & Sustainable Development.